The easiest way to avoid damage to your sewer lines and drains is to have them properly maintained on an annual basis. If you haven’t had your drainage and sewer components inspected in a number of years or you suspect that your sewer and drain pipes might have an issue that can be resolved with routine service, call J Squared Plumbing today! A broken sewer main pipe can display multiple signs and have more than one cause. When left unchecked can eventually lead to broken or cracked sections of drain pipes. 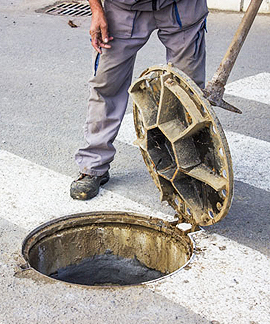 Issues with sewers and drains can easily be identified so that they can finally be resolved. Our team uses the finest visual electronic equipment to help us locate troubled spots that might otherwise be missed. Have a plumbing issue that needs to be addressed fast or need the services of a professional plumber in the Decatur, Lithonia, Buckhead and surrounding areas? Contact J Squared Plumbing today at (404) 545 – 7295. If you’re having trouble finding the problem area in your drain or sewer line, give us a call.